Using integrated camera and facial recognition, US:E smart lock allows you to unlock your door with a glance. Like the feature? Let’s continue checking. The US:E is an advanced and powerful smart lock that fits in any door that measures 30-35mm in thickness. As shown in the images, the smart lock delivers an elegant and stylish appearance design that blends well with doors in different styles. Meanwhile, the zinc alloy body not only provides a solid and secure construction, but also adds more modern aesthetics to the lock. 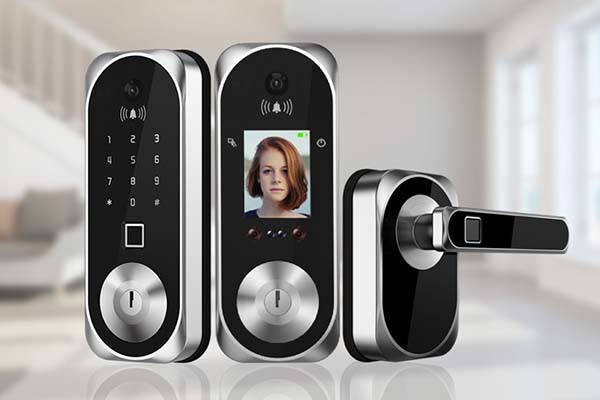 The US:E smart lock comes equipped with a built-in dual camera system that features 1/4 CMOS sensor, 180-degree super wide angle, 1080p resolution and 10-second video/picture recording. Using the camera and integrated doorbell, you will always know who is standing at the door. And built-in WiFi connectivity allows you to help your family or friends open the door where ever you’re. Furthermore, built-in biometric face recognition technology and 4-level A.I. recognition allow you to unlock your door with just a glance, and infrared light ensures it works well day and night. The smart lock can store up to 100 faces, and photos and videos can’t bypass the system for security. It also supports palmprint scanning unlock. In addition to face recognition version, the US:E has a password version that allows you to unlock the door with fingerprints. Both versions can also be unlocked with password. If you enter the wring password for 3 times or wrong fingerprints for 3 times, it will send an alarm. The team behind US:E is raising fund for the product on Kickstarter. 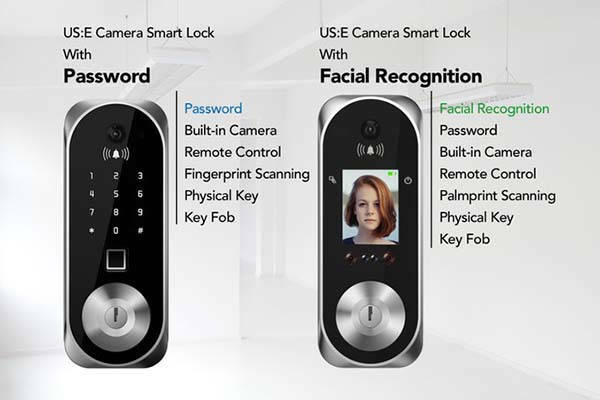 We can pledge $259 to preoder the smart lock facial recognition version ($169 for password version). Both versions will be shipped in May 2019.